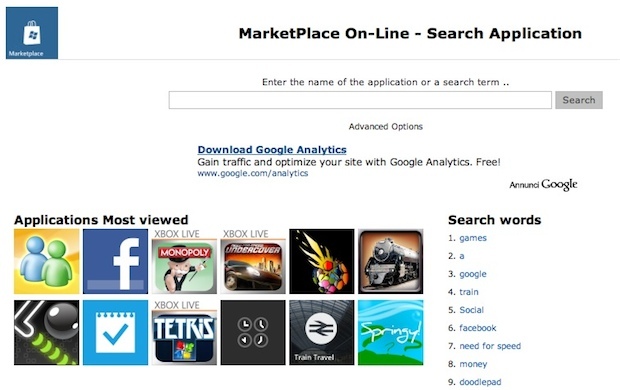 Check Out WP7 Marketplace Through Your Browser. In Italian. Home > Apps > Check Out WP7 Marketplace Through Your Browser. In Italian. Presently, in order to look around the WP7 marketplace, you have to do so through Zune software or your WP7 handset, right? Italian website MyLostBlog hacked together a webfront for the service, allowing you to browse through the apps without getting into Zune. The only downside? It’s all in Italian. What we really need to see happen is something like AppShopper, but for WP7, where it’s a fully featured app browser and all information is visible from your computer, without having to launch extra apps. Hopefully Microsoft will wise up, and put something online in the near future.